Jury duty is not something that most people look forward to. It can be onerous and time consuming. In NSW, it’s not very well paid and can cause particular difficulties for those who are self-employed and need to be physically present to keep their businesses going. Although jury duty is an important civic duty, people with a legitimate reason can make an application to be excused. The Jury Amendment Act was instigated in 2010, with most of the changes taking place at the beginning of this year. This Act means that a wider base of people will be eligible for jury duty than before, including older people, people with certain disabilities, and those who work in certain legal professions. It has also affected the way that exemptions are dealt with. With the tightening up of laws concerning jury duty, this year, getting excused from jury duty is not as easy as it might have been in previous years. 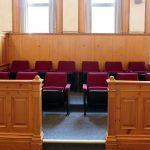 If you have a compelling reason that means you can’t serve on a jury, your lawyer should be able to advise you on how to get excused from jury duty. Concerns about the number of people being excused from jury duty in previous years led to the NSW Government changing the way that exemptions are dealt with, which now means that if you are excused from jury duty on a particular date, you may be required to provide details of dates when you are available in the following 12-month period. 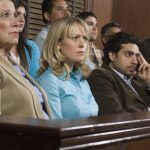 Attempts have been made in recent years to make jury duty more palatable for jurors, with bosses now required to pay workers their full pay for the first two weeks of their jury service, and an increase in the amount that jurors are paid after that. These amounts are still lower than jurors get in other states and can lead to financial disadvantages, especially for cases that go on for a long period of time. In recognition of the stress that often accompanies serving on a jury, especially when the case is disturbing in nature, jurors are now also offered counselling. It can be very difficult for people to have to make tough decisions and review disturbing evidence, and jury decisions can often be sensationalised by the media, which further adds to the stress. This is compounded by the fact that jurors are not allowed to speak to anyone else about the case or explain how they came to their decision. 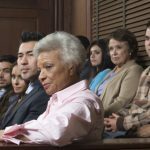 How can I apply to be excused from jury duty? If you have a good reason to believe that you should be excused from jury duty you can apply in writing to the Sheriff’s Office at the time you receive your notice of inclusion, or on the day of your jury service (in the case of unexpected illnesses and accidents or a family emergency). To request an exemption, you will need to tick the relevant box on the notice of inclusion and send it back to the Office of the Sheriff, along with supporting documentation, or go to the new juror website and apply online. You will be advised of the decision in writing. What is an acceptable excuse? There are a number of different exemptions from jury duty in NSW and they can be on the basis of your occupation, medical circumstances or family circumstances (for example if you are a full time parent or carer). Occupational exemptions include members of the clergy, medical practitioners and emergency service personnel. If you are a sole trader or contractor, you also have a good chance of successfully applying for an exemption if you can demonstrate that jury duty would cause considerable financial disadvantage or hardship. You may also be eligible for an exemption on the basis of medical grounds if you have a medical condition which would make it onerous for you to serve jury duty, and you can provide a medical certificate. This also applies if you have a mental impairment that would prevent you carrying out your duties as a juror, whether temporary or permanent. Other reasons you can be excused include if you can’t speak or write English, you will be absent from NSW at the time of the service, or if you are studying and have exams or lectures at that time. You can seek legal advice if you aren’t sure whether or not your reasons are likely to be accepted. As a way to streamline the jury duty system and make it easier for the public to request exemptions and find out the dates and times they are required to attend court, the NSW Government has recently released a new website known as Juror. This system should hopefully make the process of applying for an exemption from jury duty more straightforward and quicker than the previous system, and in the future you may even be able to apply for exemption through your mobile or tablet.